Deciding what to have for Christmas lunch can be something that causes people to go into a bit of a spin. Do we do a roast, cold cuts, a BBQ, or something a little more exotic to spice things up? 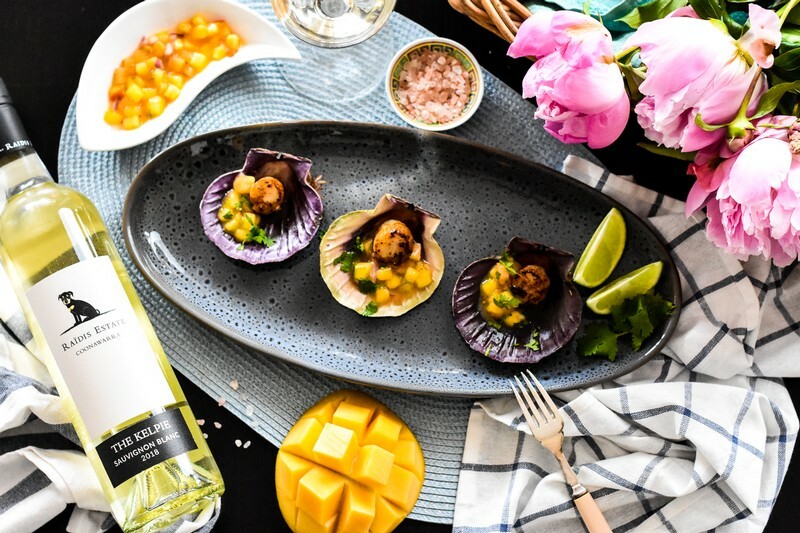 The latter can be a bit risky if you have Mr and Mrs Conservative at the table, but to help guide you with a little foray into something a bit different, we’ve got this stunning recipe for Scallops with Mango Salsa which is the perfect starter course, and we think will convince even the staunchest traditionalist this Christmas. And of course, we’ve even wine-matched it for you! Mix all Salsa ingredients together in mixing bowl. Gently press each end of scallop into finely grated cheese on a separate plate. Heat 2 tablespoons of olive oil in large, non-stick pan over medium-high heat. Once the oil is hot, add the scallops making sure they don’t touch each other. Fry for 2 minutes each side (scallop size dependent). They should have a golden-brown crust outside, and the middle should be rare-ish (they will finish cooking on their own). This super easy dish will excite all your taste buds, and leave you grinning like a Cheshire cat. 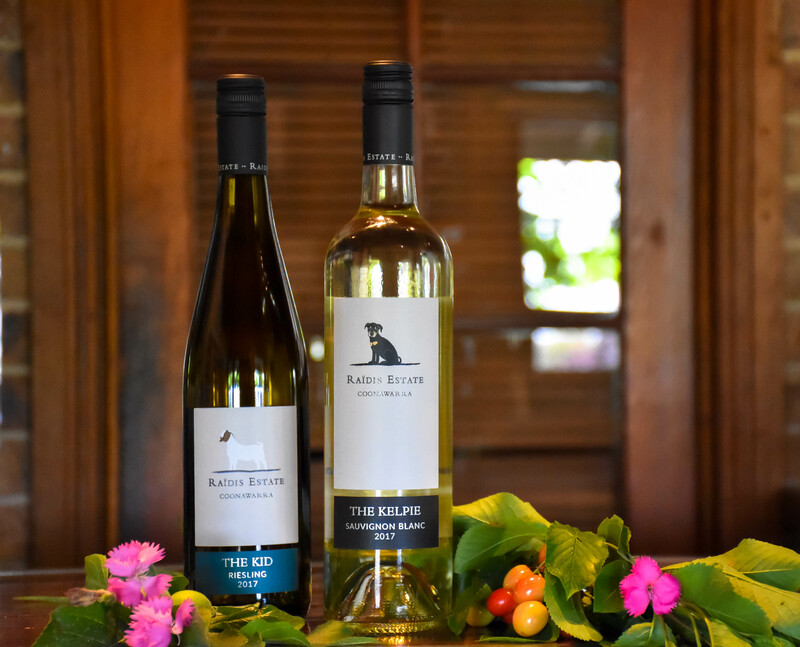 And best of all, if you’re lucky enough to have a bottle of The Kelpie Sauvignon Blanc, you’ll have the perfect pairing to convince even the toughest critics this Christmas. But beware, once you try this, Christmas lunch may never be the same. There is quite a bit of chatter recently about this concept of minimal intervention winemaking, and many wine brands are using the lack of definition and understanding in the market to push branding agendas and play on misconceptions to portray their wines in a certain light. So, what does minimal intervention mean? Intervention refers to the level of inputs from external sources to the processes of growing the grapes and making the wines. The greater the intervention, the less the wine becomes a pure representation of the vineyard, and more a representation of the winemaker’s style. The intervention in winemaking can really be divided up into 2 broad sections, Vineyard and Winemaking. This part essentially considers things like vineyard management techniques and other things like pruning method, deficit irrigation (or not), rod or spur pruning amongst others. At Raidis Estate this is where our goats really shine, as they are the key to helping us avoid using unwanted sprays and treatments in our vineyard. This area of the process is really where it’s the easiest to “intervene” and influence the resulting wine style. There are so many options when making wine, and ultimately the choices (interventions) made by the winemaker are guided by the “house style”, and with the aim of creating the best possible finished wine. Examples of these options are things like the type of yeast added to ferment the grape juice to wine, or if indigenous yeast is used (i.e. no added yeast, just what’s already in the winery), through to the temperature of the fermentor the age and toast of the barrels used to age the wine to name just a few. Winegrowing and Winemaking is very much a science and an art form, and at any point during the process inputs can vary the resultant wine. Intervention need not be thought of as a dirty word as it can bring the winemaker’s unique palate and skill into the process, and help to create the very best representation of what the wine can be. What we would say about the way we do it, is that we intervene only just enough in the process to show you the best version of Raidis Estate, and in doing so producing beautiful, expressive wines which showcase both our estate vineyard in the Coonawarra, and the expert skill of our Winemaker to bring it all together in the bottle. 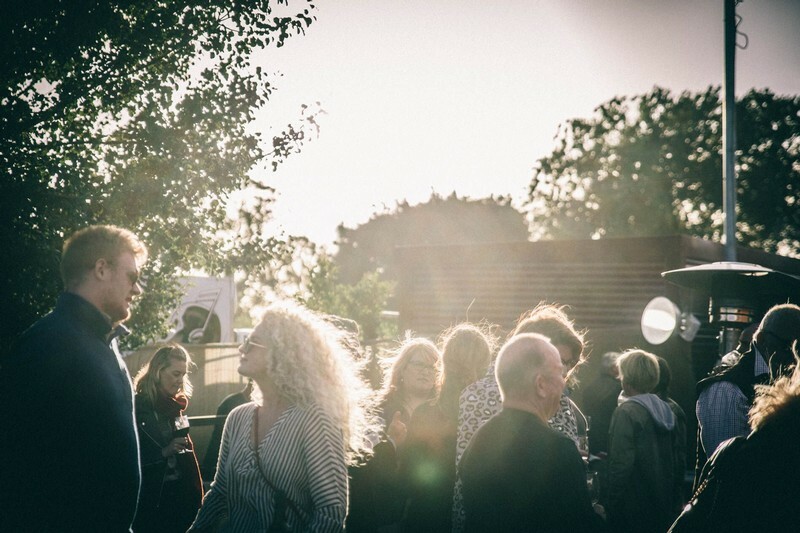 At Raidis Estate we one of a bunch of wine companies in the Coonawarra driving real change in the region and putting our own stamp on the wines and the experience visitors have when they come to visit. 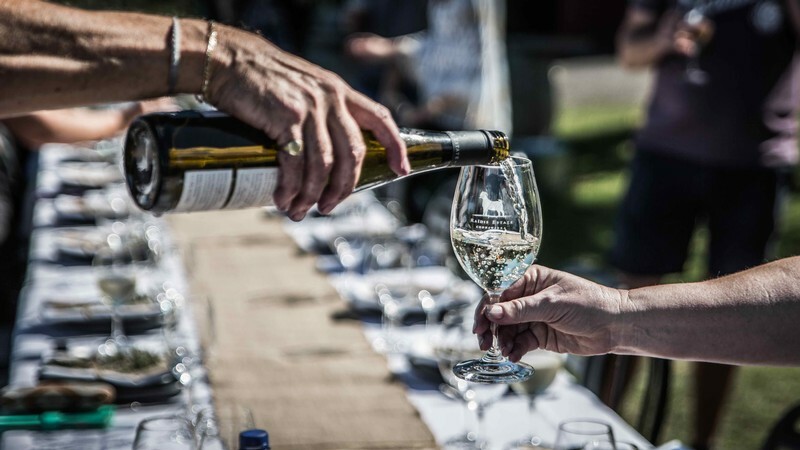 These new wine styles are being matched with a plethora of events dotted throughout the year designed to showcase the wines, to enjoy delicious food, and to entertain our guests. 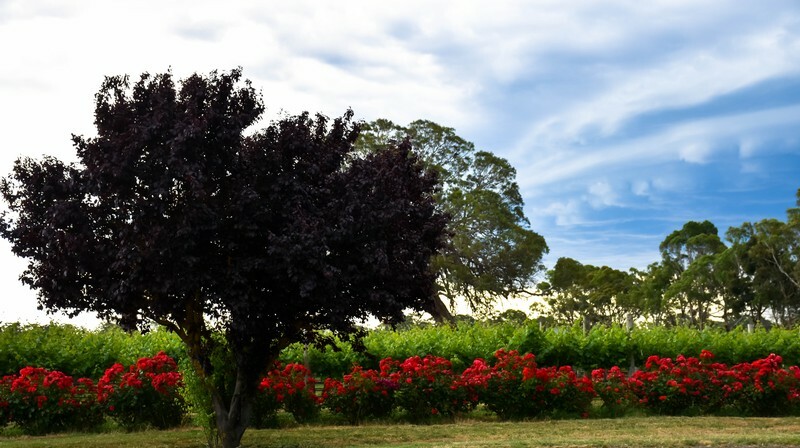 The Coonawarra is widely recognised as one of Australia’s best wine regions, and with the first grapes dating back to 1891, it’s no spring chicken. Since then, vignerons and winemakers have worked tirelessly to make the Coonawarra Australia’s most famous cool-climate region for growing Cabernet Sauvignon. 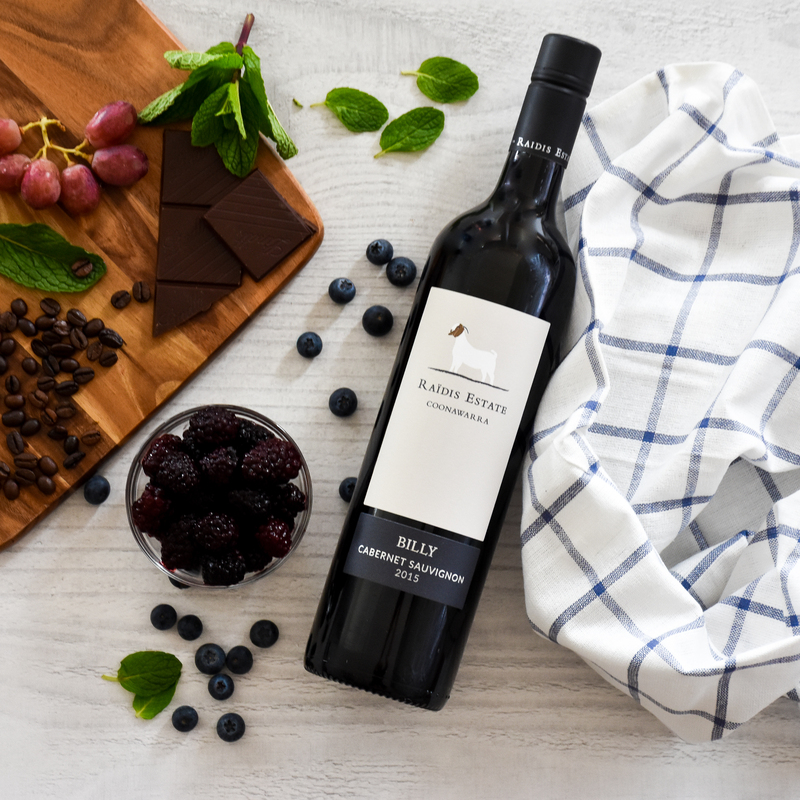 And whilst the flagship variety is without a doubt Cabernet Sauvignon, the Coonawarra produces beautiful wines from many other varietals such as Merlot, Shiraz, Cabernet Franc, Chardonnay and Riesling to name a few. The wide selection of grape varietals has set the scene for the emergence of these youthful new winemakers making their own unique styles and versions of Coonawarra. These new wines and winemakers are forging what can be thought of as the “New Coonawarra”, and whilst they draw on everything that has come before them, there is certainly a rewarding new shift in the way forward for Coonawarra. For those that love the quintessential Coonawarra Cabernet, don’t despair, that heritage that has made the Coonawarra what it is today will always remain and be at the heart of these wines. You can think of this more as a development of the region and the styles, rather than a fundamental change. Whichever way you look at it though, there was and still is something for every palate, now with even more choice and individual influence for the wines coming out of this amazing region. 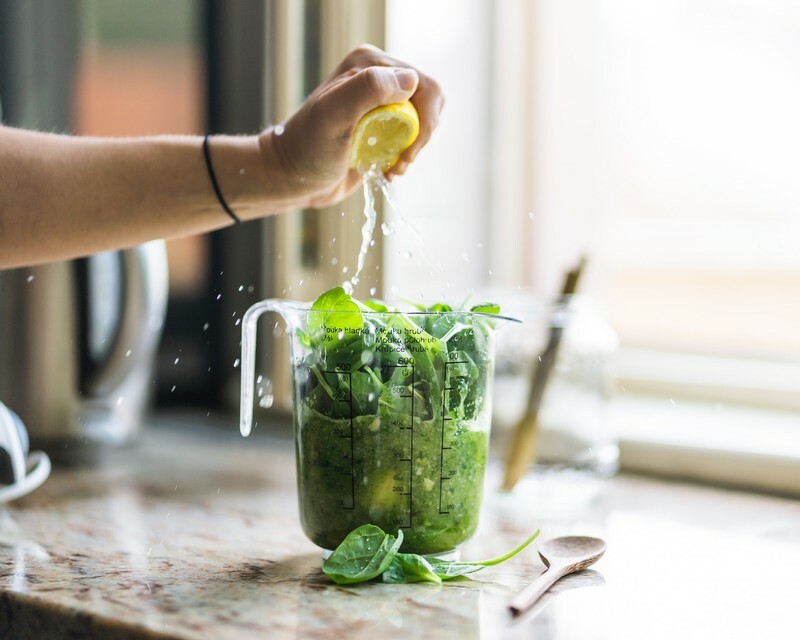 As the excitement builds and the countdown starts (well in advance, but we’re super excited) to the 2019 Living the Dream trip to Singapore, we just have to start preparing our taste buds for the amazingness that awaits us. 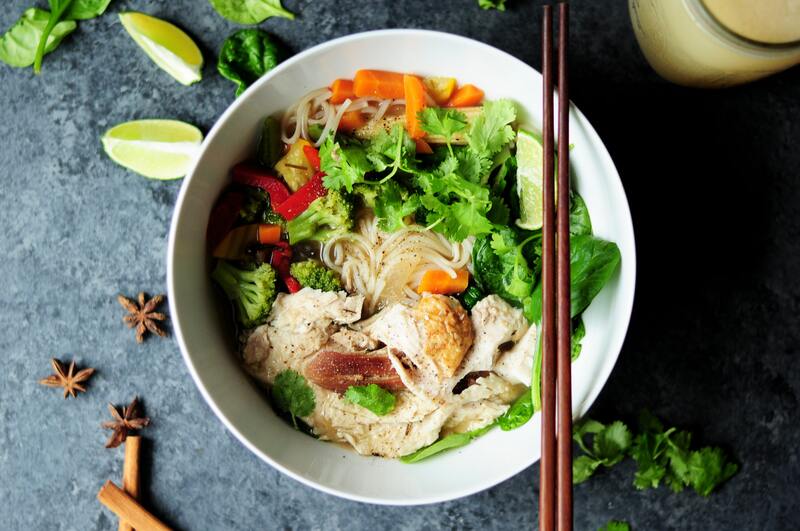 Today has us dreaming of Singapore cuisine, and what better way to whet the appetite than with this amazing Singapore Noodles recipe. Combine the prawns, chicken, Chinese rice wine, 1 tablespoon of soy sauce and 2 teaspoons grated ginger in mixing bowl. Cover and place in the fridge to marinate for 30 minutes. Meanwhile, place the noodles in a heatproof bowl, cover with boiling water and set aside for 5 minutes to soften. Then drain. Heat 1 tablespoon of oil in a wok over high heat. Add prawn mixture and stir-fry for 1 - 2 minutes or until just cooked through. Remove from wok and wipe wok clean with paper towel. Heat the remaining oil in the wok over high heat, add the curry powder and stir-fry until aromatic (approx. 30 seconds). Add capsicum, ½ the shallots and the remaining ginger. Stir-fry for 1 minute or until shallots soften. Add the prawn mixture, stock and remaining soy sauce, and season as required with sugar, salt and pepper. Add the noodles and toss until coated and heated through. Sprinkle with fresh coriander and remaining shallots to serve. 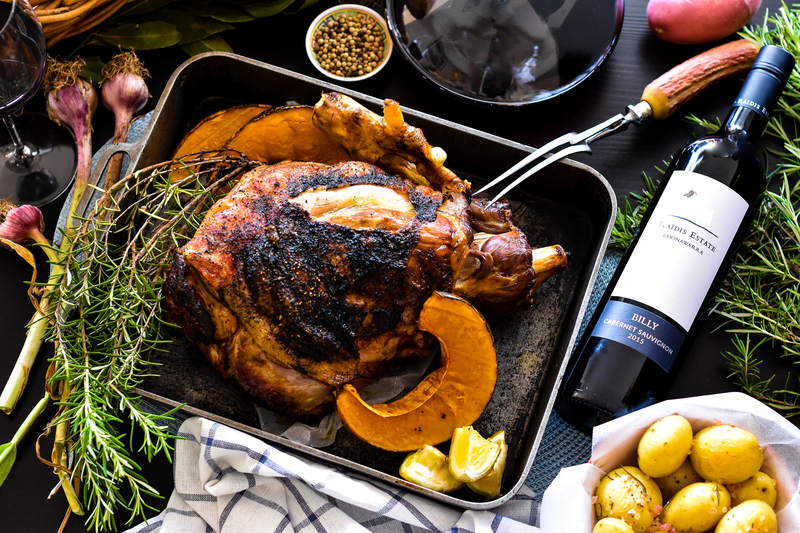 So, if this recipe has your taste buds wanting more, all you need to do is make sure you’re a Billy Goat club member, let us know you’re keen to join us and prepare yourself to live the dream in Singapore with Team Raidis.